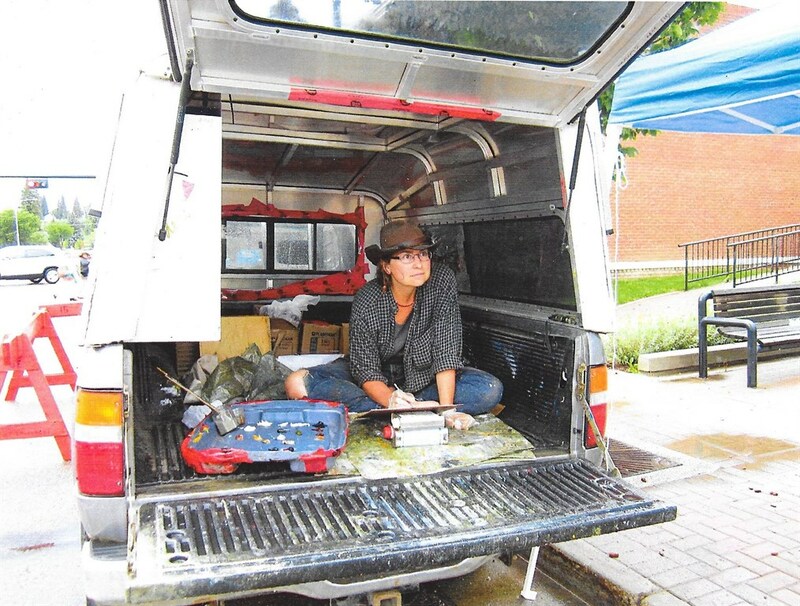 Join artist Nicole Bauberger for a day of painting in oils from observation. In the morning we will set up our palettes, which will include a discussion of oil paints, solvents and mediums, and the uses of transparent, opaque, metallic, and interference oil paints in an "alla prima" or direct painting approach. Then Nicole will do a demonstration, with participants able to ask questions and also try the paint on test panels. After a break for lunch, participants will find their own composition and view to observe, and then settle in to painting, while Nicole circulate to act as a resource, doing demonstrations in response to participant questions. We'll wind up the day looking at what we've painted, and and talking about what we've discovered along the way. Depending on the weather and participant preference, painting can be done under shelters outdoors or from a window inside the gallery.Nicole Bauberger's exhibition Get There From Here is currently on view at the AGP.